Laws and their restrictions will never apply to deranged criminals. Moreover, the fact that there are an estimated 300 million firearms already in circulation make it impossible for gun control laws to have any effect on reducing violent crimes. Because gun control laws also prohibit people’s self-reliance and self-defense, they can also cost the lives of more innocent victims. Nevertheless, I support background checks for anyone purchasing a weapon, especially at gun shows and private sales; I support banning high-capacity magazines and modifications on semi-automatic weapons; I support banning semi-automatic and fully automatic assault rifles; I support banning anyone from owning a weapon on no-fly or watch lists; I support legislation that will mandate prohibitions on concealed weapons and possession of firearms by the mentally-ill and people convicted of violent crimes. 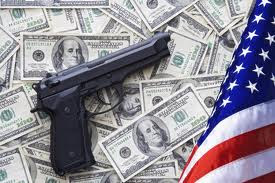 Instead of more gun control laws and worrying about law-abiding responsible citizens who own reasonable self-defense weapons for protection and may conceal and carry those weapons, legislators should focus upon and address the causes of violent crimes: racism, economic injustice, poverty, unemployment, gang activity, drug trafficking, inefficient law enforcement in high-crime areas, and mental illness. Instead of more gun control laws, let’s pursue a policy goal that shifts “the distribution of gun possession as far as possible in the direction of likely aggressors being disarmed [e.g. those people who are on social media espousing hatred and violence], with as few prospective victims as possible being disarmed. To disarm non-criminals [through more gun control laws] in the hope that this might indirectly help reduce access to guns among criminals is a very high-stakes gamble, and the risks will not be reduced by pretending that crime victims rarely use guns for self-defense” (Gary Kleck, Targeting Guns: Firearms and Their Control). Let’s also pursue a policy goal that eliminates so-called “corporate personhood” (Citizens United): this corrupt, unlimited campaign spending from moneymaking, mendacious powers like the NRA and the Koch Brothers, et. al. that coerce legislators and the media to ingratiate them. How about fighting racism, economic injustice, poverty, unemployment, gang activity, drug trafficking, inefficient law enforcement in high-crime areas (although that one might be problematic) and mental illness (another broken line correlation) and making assault rifles unavailable for purchase. 2nd paragraph: I support banning semi-automatic and fully automatic assault rifles. Everyone who buys and owns a weapon should have proper firearms training. This should include the following: Firearm Safety, Understanding Pistol Components and Operation, Loading & Firing a Pistol, Loading and firing a Pistol under Stress, Unloading/Reloading a Pistol, Fundamentals of Aiming & Firing, Proper Breathing, Pistol Maintenance, Firearm Storage, Clearing Common Pistol Stoppages, Role-playing stressful Self-Defense Scenarios, Dry-Fire & Live-Fire Practice, Home Self-Defense Strategies, Self-Defense Strategies Outside of the Home, Understanding the Defensive Use & Consequences of Deadly Force, Confronting an Intruder or Attacker, Emotional & Legal After Effects of Shooting an Assailant, Understanding State & Federal Laws Governing the Carry & Use of Firearms. I am concerned about people who buy a weapon and have only a few days of training. They lack experience with firearms. Carrying a firearm entails profound responsibility and the ability to act instantaneously under extreme stress with self-restraint. Though 16 hours of firearms training is the State of Illinois' requisite requirement for concealed carry, it takes many hours of shooting practice to enhance proficiency. Without real self-defense experiences, for example, it is imperative to have practice lessons that include multiple visualizations of possible self-defense scenarios and to understand the physical and emotional ramifications of the use of deadly force in self-defense. People who own and carry guns should continue practicing at a firing range at least once every three months, in addition to studying and reviewing the principles of proper firearms training stated in my previous commentary. This is the primary rule of gun safety. A safe direction means that the gun is pointed so that even if it were to fire, it would not cause injury or damage. The key is to control where the muzzle or front end of the barrel is pointed at all times. Common sense dictates "in the safest direction." When holding a gun, rest your finger on the trigger guard or along the side of the gun. Until you are ready to fire, do not touch the trigger. Whenever you pick up a gun, immediately engage the safety device if possible; if the gun has a magazine, remove it before opening the action; pull back the slide to make sure it is clear of ammunition. If you do not know how to open the action or inspect the firearm, put the gun down carefully (pointing the gun in a safe direction with your finger off the trigger) and get help from someone who does (NRA Guide to the Basics of Pistol Shooting). Before handling your gun, learn how it operates. Know its basic parts, how to open and close the action safely, and how to remove any ammunition from the gun's chamber or magazine. Remember a gun's mechanical safety device is not entirely foolproof. Be sure the gun is safe to operate. If there is any question concerning a gun's ability to function properly, a knowledgeable gunsmith should be consulted. Use only the correct ammunition for your gun. Only ammunition designed for a particular gun can be fired safely in that gun. Most guns have the ammunition type stamped on the barrel. Ammunition can be identified by information printed on the box or stamped on the cartridge. Do not shoot the gun unless you know you have the correct ammunition. Wear eye and ear protection. Guns are loud and the noise can cause hearing damage. They can also emit debris and hot gas that could cause eye injury. For these reasons, shooting glasses and ear protection should be worn by both shooters (and spectators). Never use alcohol, prescription drugs, or any other drugs before or while shooting. Alcohol, as well as any other substance likely to impair normal mental or physical bodily functions, must never be used before or while handling or shooting a gun. Know your target and what is beyond your target. Be absolutely sure you have identified your target. Equally important, be aware of the area beyond your target. This means observing the area of fire before you shoot. Never fire in a direction where there are people or where there are other possibilities for mishap. Think before you shoot. Clean your gun. Just like other tools, guns need regular maintenance to remain operable. Regular cleaning and proper storage are a part of the gun's general upkeep. Regular cleaning is important in order for your gun to operate correctly and safely. Taking proper care of it will also maintain its value and function. Your gun should be cleaned every time that it is used. A gun brought out of prolonged storage should also be cleaned before shooting. Accumulated moisture and dirt, or solidified grease and oil, can prevent the gun from operating properly. Before cleaning your gun, make sure it is unloaded. The gun's action should be open during the cleaning process. Be sure no ammunition is present in the cleaning area as well. Store your gun so it is not accessible to unauthorized persons. Dozens of gun storage devices, as well as locking devices that attach directly to the gun, are available. However, mechanical locking devices, like the mechanical safeties built into guns, can fail and should not be used as a substitute for safe gun handling and the observance of all gun safety rules. Be aware that certain types of guns and many shooting activities require additional safety precautions (NRA Guide to the Basics of Pistol Shooting). "...A circuit county judge in Illinois struck down a local suburb's ban on assault weapons and high-capacity magazines. The ruling puts an end, for now, on what had been a closely-watched legal battle over the ordinance. "The Village of Deerfield, which sits 25 miles north of Chicago, passed the ordinance banning AR-15 style rifles and other assault weapons from within its perimeters in April 2018, weeks after the Parkland, Florida, school shooting. But on Friday, Lake County Circuit Court Judge Luis Berrones sided with local gun owners who opposed the ban and issued a permanent injunction blocking it from going into effect. "Though this particular ordinance isn't even a year old, the ruling involved matters that stretch back to 2013, when the State of Illinois set a deadline for local municipalities to establish firearm regulations. "At the time, the state created an open window for places like Deerfield to enact their own ordinances before new gun laws—the Illinois Concealed Carry Act and the Firearm Owner’s Identification Card Act—vested those powers exclusively with the state. "In two legal challenges, those opposed to the ban argued that village trustees should have acted then and had since missed their opportunity. "Deerfield officials, meanwhile, argued that the weapons ban was an update to existing gun laws that were established within the appropriate time frame. The weapons listed in the ban have been used in a rash of mass-casualty incidences, making them a public health and safety issue, they argued. "In a statement, the Deerfield leaders said they were exploring options and called the ruling 'ripe for an appeal.'..." (Newsweek, March 23, 2019).